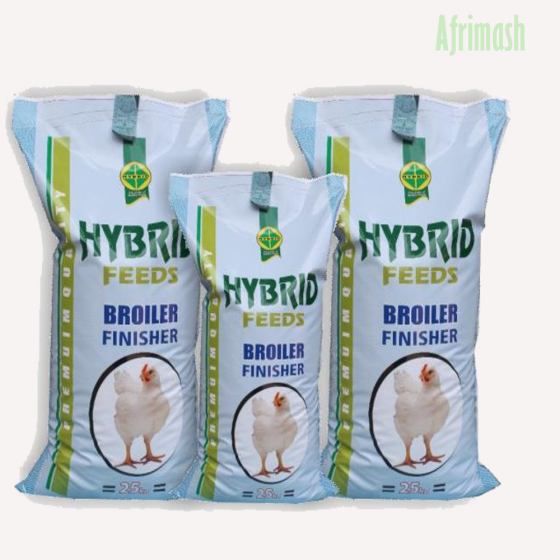 The formulation of the Hybrid brand of broiler finisher mash is aimed at achieving higher growth rate, higher feed utilization rate, and low disease incidences. It is highly balanced in nutrition and normally administered to broilers from about 4th week till time of sale/processing. The Hybrid broiler finisher has well-balanced protein and energy ratio to get faster and maximum weight gain with excellent feed conversion ration (F. C. R.).